What is Dementia Friends Gibraltar? Am I eligible to become a Dementia Friend? What is a Dementia Friends champion? 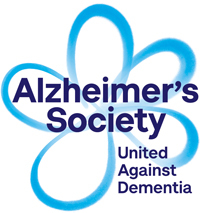 The Gibraltar Alzheimer’s & Dementia Society (GADS) is Gibraltar’s health charity for people living with Alzheimer’s disease and other types of dementia. The Society is fully committed to raising awareness and better understanding of Alzheimer’s and dementia and to offering support, information and guidance to those living with dementia, their families and carers locally. Dementia touches so many families in Gibraltar, but the quality of care people get after a diagnosis of dementia can vary and this has to change. It affects everyone differently and it’s important that everyone affected by the condition is treated with the respect and dignity that they deserve. We believe it is essential that the community is given the right information it requires to be able to recognise the symptoms associated with the disease. GADS holds Family Support Group meetings to help families and caregivers develop a mutual support system and give information to people living with Alzheimer’s and other dementias. They exchange practical information on care giving; ways of coping; talk through challenges; share experience and learn about resources available in Gibraltar. They offer support and truly understand because “they have been there too”. Dementia Friends Gibraltar is an Alzheimer's Society and GADS initiative.